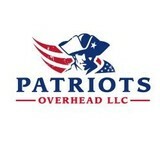 Patriots Overhead LLC is a garage door contractor serving all of RI and the Boston MA area. Services include Garage Doors, Emergency Garage Door Service, Garage Door Service, Garage Door Repairs, Garage Door Openers, Spring Repairs, Glass & Aluminum Doors, Garage Door Installation and Commercial Garage Doors. We are dedicated to providing the highest quality residential and commercial garage doors, along with professional installation supported by excellent customer service. Garage Headquarters Boston and Providence locations provide architectural consultation for overhead garage doors, overhead garage door openers, commercial overhead sectional door systems, rolling steel door systems, and high-speed traffic doors. We have more local inventory for faster new door installations and we provide exclusive brands to fit any project of any size and budget. Space solutions are our specialty. Ask us-we'll find a fit. We love to work with architects and designers to provide current, custom and beautiful door solutions to delight their clients. Let us give your home the functionality and curb appeal it deserves! Bridgewater has the best garage door contractor in Massachusetts. They offer a lot of products and services at a very reasonable price. JGS Overhead Door Systems is one of the leading dealers of overhead residential, commercial and industrial garage doors in Rhode Island, Southeastern Massachusetts and nearby Connecticut. 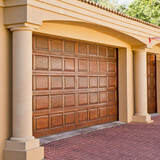 We offer a wide variety of models and styles of garage doors and chance are, if you have seen it, we carry it! We service and offer replacement parts of all models of garage doors and openers often for a fraction of the cost of our competitors. We have an in-house financing program to suit any budget! 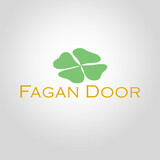 We offer discounts to our Senior citizens, municipalities, our police officers and fire fighters. Our showroom hours are extended beyond that of our competitors so our blue collar community doesn’t have to take time out of work to shop with us. Our showroom and service facility is located at 95 locust lane in Oakland (Burrillville) Rhode Island. Our showroom is open from Monday to Thursday from 7:30 AM to 4:30 PM and Friday from 7:30 AM to 4 PM. Our store hours are the same as our showroom hours. At the store, we stock most replacement parts, electric openers and accessories, complete doors for the do-it-yourselfer, weather seal/trim, rollers/hinges/cables etc. all items are available over the counter cash and carry. Call ahead so we can prepare your needs and they will be ready when you arrive. Performance Overhead Door is a premier garage door service company dedicated to providing quality sales, service, installation and garage door repairs. Performance Overhead Door has been serving Norwich, CT and the surrounding area for over 12 years and brings over 40 years experience in the garage door business. Our commitment to excellent customer service and pricing that won't break the bank are the top reasons to call us! Performance Overhead Door provides a FREE ESTIMATE for all new garage door installations, garage door replacements and repairs to garage doors and operators. The owner, Gary Jolicoeur, has been in the overhead garage door business since 1976 and has a reputation for installing quality products at competitive pricing with incomparable service. 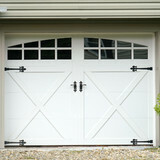 Diamond Overhead Door provides free estimates for new or replacement garage doors and electric door openers. We also provide carpentry work upon request. Gary is a licensed Construction Supervisor in Massachusetts and Rhode Island. Contact us today to set up an in-home appointment and free estimate! What types of garage door service tasks do contractors in Quonochontaug, RI provide? A damaged garage door can lead to increased security risk, ruined belongings and an unpleasant exterior, so look for Quonochontaug, RI repair professionals who provide same-day or emergency services if the damage is extensive and poses a potential health and safety risk. Find Quonochontaug, RI garage door repair professionals on Houzz. Narrow your search for garage door repair professionals by selecting the nearest city or zip code. Look at portfolio and product photos, and read reviews to find the best garage door contractors in Quonochontaug, RI for your home.